Got this in the email today. Not sure what the odds of for winning, but there is only a single card available. The Promo ends shortly on 3-31-2015. 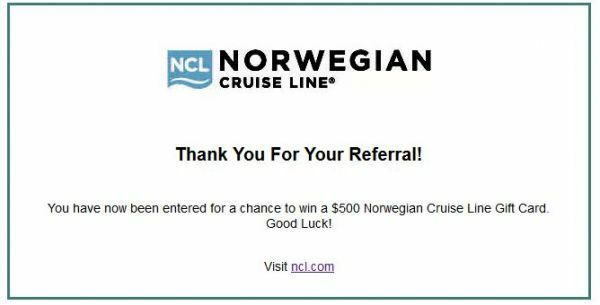 Invite a friend to learn more about Norwegian Cruise Line and get entered for a chance to win a $500 Norwegian Cruise Line Gift Card. If chosen as the lucky winner, you can use your gift card on your upcoming cruise for spa treatments, specialty dining, drinks at a lounge, and even shore excursions! Or use it to book a future cruise. 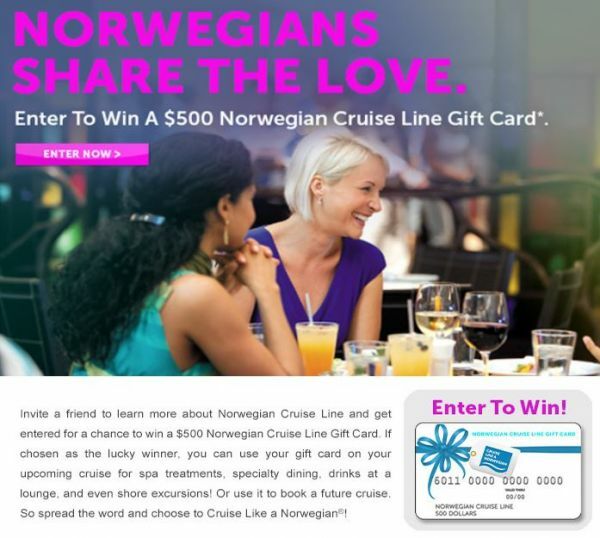 So spread the word and choose to Cruise Like a Norwegian!